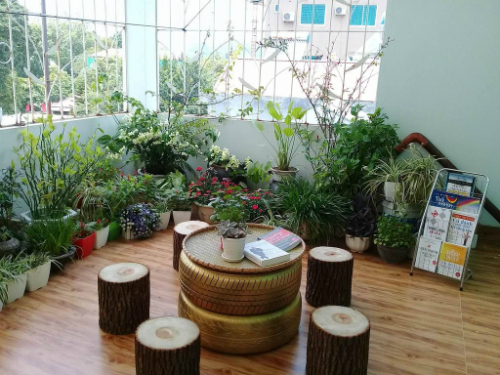 This homestay is a two-floored house with 4 rooms, including 2 separate rooms and 2 bunk beds, located in Hongvinh street, downtown Cao Bang, near the market that should be easy to find. 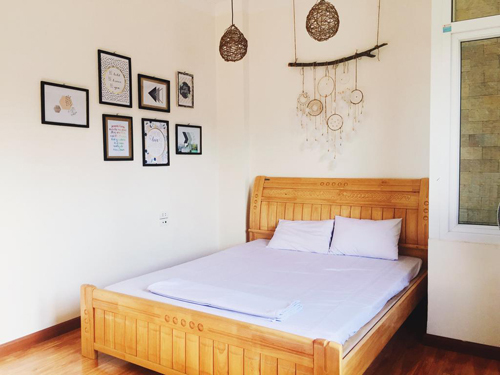 Private room with double bed, price 275,000 VND. 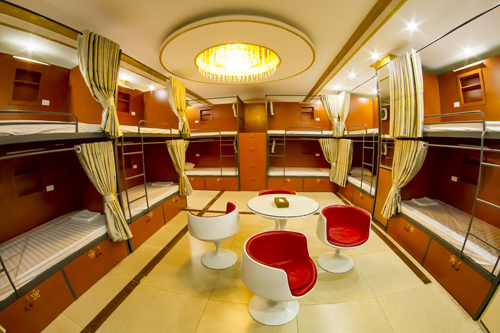 The dorm room costs VND120,000 per bed. One room has six beds, made of wood or metal, including blankets, mattresses, reading lamps, shared toilets. Upstairs is laundry area with free washing machine (tip recommended) and a small area for “chit chat”. In addition, guests can also buy cooking items at the shared kitchen. If you are looking for higher standard accomodation in Ban Gioc, then you may find hotels in Hong Viet Street. 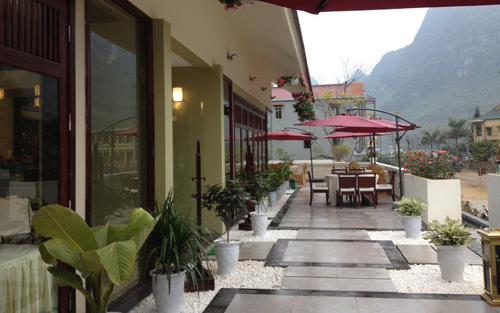 Son Tung Hotel is 2-star hotel with 30 rooms, fully facilitated with tivi, air conditioner and water heater. Rates range from 500,000 VND to 900,000. 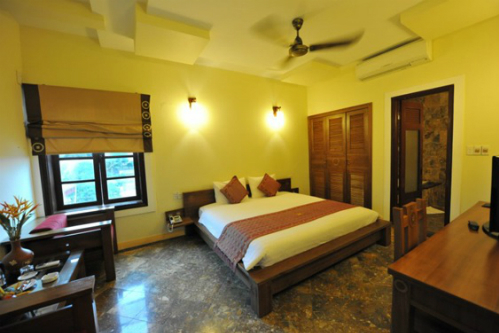 Besides, the hotel has 3 collective rooms with total of 36 beds, serving a big tourist group. 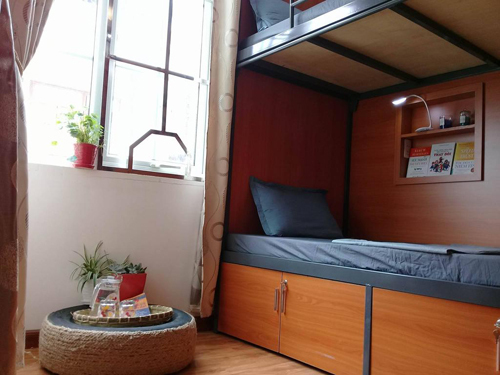 The room is quite modern, each bed has curtain to create private space but still have tables and chairs in the center of the room, connecting the beds together. 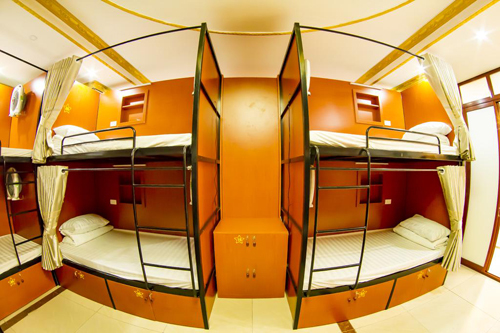 There are two type of rooms: 10 and 16 beds with the rate of 120.000 VND/person. 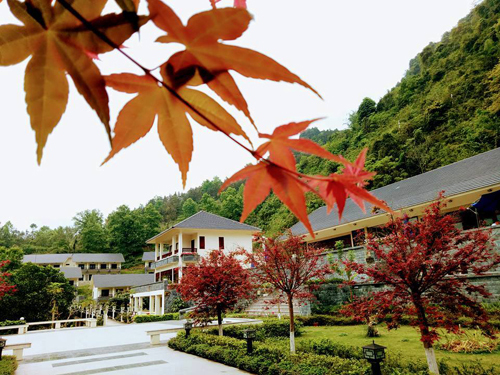 This is only 4-start resort in Cao Bang. This resort is quite near Ban Gioc Waterfall, in Dam Thuy commune, Trung Khanh district. The resort has a restaurant, a conference room accommodating over 200 delegates. Price from 1,000,000 VND~ $50/pax. You can order food here with price from 150,000 VND. Since it is located quite center, from there, you will save a lot time to travel to other attractions such as Nguom Ngao Cave, Phat Tich Truc Lam Pagoda, Pac Bo Cave, Lenin Stream.